Numerous studies show that myofascial release can be effective in releasing constricted muscles, alleviating musculoskeletal pain, and restoring flexibility to the joints, ligaments, and tendons of the body. Myofascial Release is thought to be even more effective when performed using myofascial release tools. In this buyer’s guide, we’ll explain what myofascial release tools are, how they work, and what you should be looking for in a myofascial release tool. What is a Myofascial Release Tool? Two popular techniques that clinicians and massage therapists use for myofascial release massage are instrument assisted fascias mobilization (IAFM) and instrument-assisted soft tissue mobilization (IASTM). Both techniques employ special myofascial release tools that are designed to target different areas of the body where the fascia (the smooth layer of connective tissue that surrounds the muscular system and other organs) is constricted. Below is a brief description of each technique. IAFM – This technique focuses on releasing restrictions in the superficial and deep layers of the fascia in order to restore power and range of motion to the muscles, joints, and ligaments. IAFM is performed by physical therapists, osteopaths, and chiropractors, with the aid of a variety of curved metal instruments that are designed to break up muscle adhesions and scar tissue. IASTM – This technique, also called the Graston technique, is a newer type of treatment that focuses on improving soft tissue mobility. To perform IASTM, clinicians and therapists use a variety of smooth, metal “blades” to create deep pressure and encourage blood flow in areas of the body that are affected by soft tissue dysfunction and chronic inflammation. While further research on the therapeutic effectiveness of IAFM and IASTM is needed, research suggests that IASTM can help improve soft tissue function and range of movement as well as reduce pain in those suffering from acute or chronic sports injuries. Another, lesser known, therapy involving myofascial release tools is Gua Sha. Also sometimes referred to as “coining,” “scraping,” or “spooning,” this East Asian technique utilizes myofascial release tools and scraping movements to move energy, or qi around the body. Gua Sha is frequently used in conjunction with acupuncture. While myofascial release tools are most effective when used by clinicians and therapists, many are designed with consumers in mind. However, if you do use these on your own you may not be able to use it on all areas of your body effectively, as other areas may be unreachable. Those who are unable to find a practitioner in their area who can perform myofascial release, or who are on a tight budget, can benefit from using these tools at home to perform myofascial release on themselves. According to the National Academy of Sports Medicine (NASM), self-myofascial release helps relieve joint stress, reduce muscle soreness, relieve joint stress, correct musculoskeletal imbalances, and improve neuromuscular efficiency. Myofascial release tools are made from a variety of materials, including bian stone, buffalo horn, jade, and polycarbonate. For the purpose of this article, however, we’ll be focusing on myofascial release tools made from surgical-grade stainless steel. Bevelled edge tools are designed with hard edges that allow for deeper tissue penetration and more effective scar tissue separation. There are two basic types of bevelled edge tools: single-bevelled and double bevelled. Single-bevelled tools are designed to be used in one direction and are ideal for use on larger areas of the body. Double-bevelled tools can be used in any direction and are ideal for use on smaller, more sensitive body parts. Bevelled edge tools are available in many different shapes including blades, spoons, and handlebars. This is a large, bar-shaped tool used to target larger areas of the lower body, such as the hamstrings and quads. This instrument has hand grips on either side that help the practitioner apply deep pressure in order to break up muscle adhesions and scar tissue. 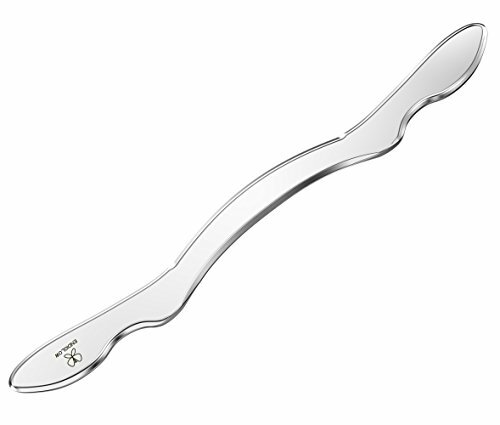 This tool is characterized by its S-curved shape. It is ideal for use on smaller areas of the body, such as the hands, wrists, and forearms, calves, and neck. S-shaped myofascial release tools have two inlets – one with a single-bevelled edge and one with a double-bevelled edge – that allow the tool to be used on different body parts. Below are a few important features to look for when choosing the right myofascial release tools to use at home. Each myofascial release tool is designed to be used in a different manner, so it’s important to consider how the tool will be used. Generally speaking, sharper edges offer more precision, while blunt edges are better for treating larger areas of the body. Another important consideration when choosing a myofascial release tool is the number of bevelled edges it has. Single-bevelled tools provide deeper penetration but they can only be used in one direction. Double-bevelled edges are more versatile in that they can be used in any direction, but they provide less penetration. Choose a tool that is easy to grasp and fits well in your hands. Not only will this allow you to more effectively target and treat problem areas, but it will also help prevent hand fatigue. The tool should be shaped in such a way that you can hold it in a firm, yet relaxed manner. When it comes to quality, not all myofascial release tools are equal. Generally, the less expensive tools are less effective than the more expensive ones. Furthermore, many lower quality tools only have one bevelled edge, limiting the versatility of the tool. In this section, we’ll review the best steel myofascial release tools based on price, ease of use, and overall customer satisfaction. 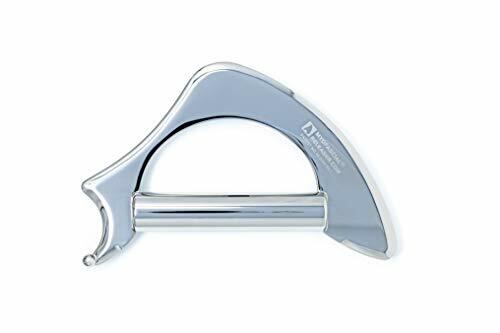 The ENDIGLOW Anti-allergy Medical Grade Stainless Steel IASTM Tool is a blade-shaped tool designed to treat adhesions and scarring due to injuries, surgeries, and overuse of the muscles. This tool ideal for massaging areas of the body like the back, forearms, shoulders, and pectoral muscles. It is made from premium medical-grade stainless steel and features a double-bevelled design. This tool feels great in the hand, and its lightweight design makes it easy to use on various parts of the body. That said, its bevelled edges provide an intense massage that may cause bruising in some. Another minor complaint is that the tool tends to scratch and dent easily. Overall, though, this is a great option for anyone looking for a versatile and relatively inexpensive myofascial release tool for home use. The Myofascial Releaser Ellipse Pro boasts a sleek professional design and multiple bevelled edges for targeting different areas of the body. Each edge of the instrument corresponds to a specific anatomical region. The tool comes with a 152-page anatomy guidebook to help you locate and treat problem areas. The Ellipse Pro shares a similar blade-shaped design to the ENDIGLOW Anti-allergy Medical Grade Stainless Steel IASTM Tool, with the addition of three finger holes that ensure a more secure grip. What we love most about the Myofascial Ellipse Pro is its superior engineering, which allows for greater ease of use when massaging different areas of the body. 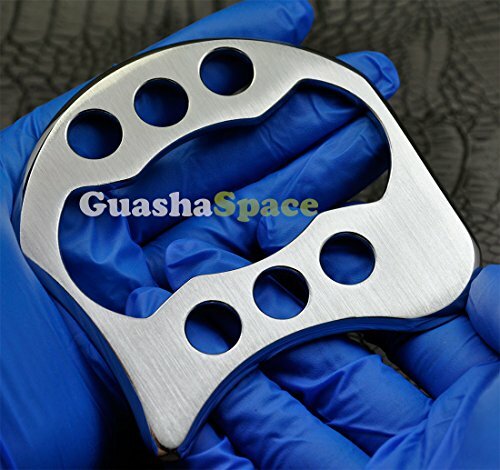 It is heavy-duty, but feels light in the hand, and its multiple bevelled edges allow the tool to be used in either hand. The finger holes help prevent hand fatigue, while the tool’s anti-slip surface ensures a secure hold. This tool is quite small, however, and may not be suitable for those with large hands. The ENDIGLOW Anti-allergy Titanium Gua Sha Massage Tool is made from medical-grade titanium, which is hypoallergenic, antibacterial, and easy to clean. Small and portable, this tool is a great choice for those who want to enjoy the benefits of myofascial release anytime and anywhere. The ENDIGLOW Anti-allergy Titanium Gua Sha Massage Tool comes with a genuine leather carrying case. We love the convenience of this tool; it’s small, fits easily in the hand, and features an ergonomic design that allows you to massage hard-to-reach muscle groups. That said, some users may find the tool difficult to hold, as it is very thin. The Gua Sha Tool by Cutemedi is similar in design to the blade-shaped ENDIGLOW Anti-allergy Medical-Grade Stainless Steel IASTM Tool, but it features six different treatment edges for targeting different parts of the body. Its durable, solid construction makes the tool easy to hold and manoeuvre over different areas of the body. The best thing about the Gua Sha Tool by Cutemedi is its precisely angled edges, which provide enough pressure to be effective at breaking up adhesions and scarring, but not enough pressure to cause pain. The tool also has a good weight to it – not too light, not too heavy – and feels comfortable in the hand. That said, some users have said that the tool can be difficult to hold properly when targeting smaller areas of the body. 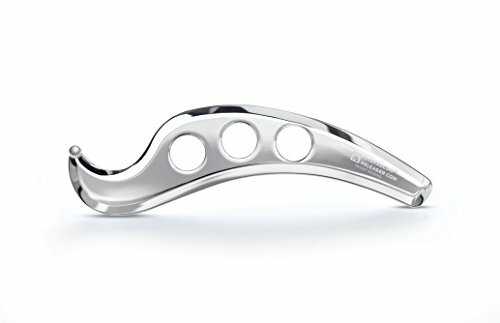 The Original Myofascial Releaser Tool features a unique design that makes it ideal not only as an IASTM tool, but also as a scraping or shearing tool. It has a pointed edge for more efficient targeting of sore, tight muscles, and a rounded edge for massaging broad areas. 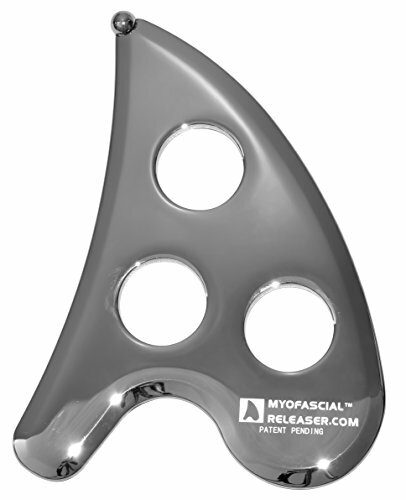 The Original Myofascial Releaser Tool also has three finger holes that allow you to grip the instrument properly while working on different parts of the body. This is a well-shaped, versatile tool that can be used on just about any part of the body. Its rounded bevelled edges are great for breaking up adhesions and scar tissue at the superficial level, while the pointed tip allows you to treat deep points in the fascia. That said, some may find that this tool feels bulky in the hand. It can also become very slippery when used with oil. Aside from these minor complaints, the Original Myofascial Releaser is a great all-in-one myofascial release tool for those on a tight budget. This handlebar-shaped myofascial release tool is perfect for targeting broad areas of the body such as the back, arms, shoulders, and thighs. It is ideal for use by athletes, chiropractors, massage therapists, physical therapists, and personal trainers. The tool features double-bevelled edges for treating the larger muscles of the body and a polished surface that reduces friction when treating deep knots and muscle adhesions. As with ENDIGLOW’s blade-shaped myofascial release tool, this instrument is effective in treating adhesions and scarring due to injuries, surgeries, and overuse of the muscles. That said, its sleek surface may make the tool difficult to grip for some – especially when used with lotions or oils. With its ergonomic handle, Accu-sphere ball tip, and double-bevelled edges, it’s easy to see why the Ergo IASTM Myofascial Release Tool is one of the most highly rated myofascial release tools on the market today. This versatile tool can be used to perform IAFM, IATSM, and Gua Sha myofascial release techniques. The Ergo IASTM Myofascial Release Tool is crafted using a CNC manufacturing process to ensure superior feedback and sensitivity when breaking up fascial adhesions. The built-in handle makes this tool a great option for anyone who wants to perform myofascial release with oils or lotion, while the tool’s precisely bevelled edges allow you to apply pressure where you need it most. A few customers have complained that the bevelled edges are too sharp and can be awkward to use on some parts of the body. Overall, though, this is a great, versatile tool for anyone wanting to perform myofascial release at home. While instrument assisted myofascial release techniques are thought to be generally safe, there are a few safety precautions you should take when performing IAFM and IATSM at home. Here are a few things to keep in mind when using myofascial release tools. If you feel pain, stop. Applying pressure on a muscle should produce feedback, but not pain. If you’re experiencing discomfort, stop and adjust your massage position. Learn how to use your tool. These tools must be used carefully as they can cause damage to the body. It is recommended to research how to perform myofascial release properly or choose a tool which comes with a manual. Don’t over massage. Experts recommend massaging the affected area for five minutes at one time. Remember, myofascial release is not right for everyone. those with advanced diabetes, aneurysm, acute rheumatoid arthritis, or osteoporosis should consult with their physician before attempting myofascial release at home. When performing instrument assisted Myofascial release at home, investing in the right tools is key. Use this guide as a starting point when researching the best myofascial release tools for you.